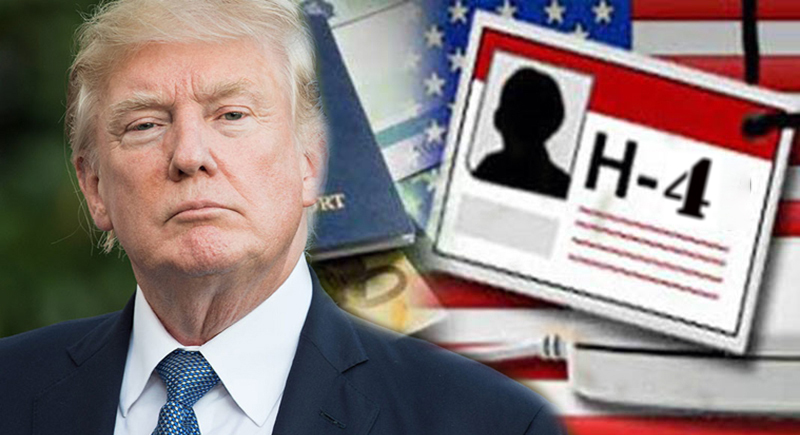 Influential lawmakers and representative of the American IT industry, including Facebook, have opposed the Trump administration’s proposed plan to withdraw work permits to H-4 visa holders, who are spouses of H-1B visa holders. “Rescinding this rule and removing tens of thousands of people from the American workforce would be devastating to their families, and would hurt our economy, Silicon Valley-based FWD.US, which was founded by top IT companies like Facebook, Google and Microsoft, said in a report released on Wednesday. It comes a day after the American media reported a letter from the US Citizenship and Immigration Services about its decision to terminate the Obama-era regulation that granted work permits to H-4 visa holders, a majority of whom are Indian professionals, and are mostly women. “This policy is important because it allows certain individuals to secure gainful employment without having to wait for their spouses to receive permanent residency, many of whom are experiencing a processing backlog of more than a decade,” FWD.US argued. Roughly 80 per cent of H-4 visa holders are women, and many had successful jobs and held advanced degrees in their native countries before coming to the US with their H-1B spouses, it said. Without the H-4 work authorisation rule, the spouses of H-1B high-skilled employees would be unable to work legally and contribute financially to their households and communities, as well as pay taxes on their wages, unless they had alternate immigration avenues for work authorisation, FWD.US added. “H-4 work authorisation has allowed an estimated 100,000 people to begin working and further integrate into their communities,” the report quoted a group of 15 top American lawmakers from California as saying. In a letter to Homeland Security Secretary Kirstjen M Nielson, the lawmakers argued that the Obama-era H-4 rule lessened the burden on thousands of H-1B recipients and their families while they transition from non-immigrants to lawful permanent residents by allowing their families to earn dual incomes. Many entrepreneurs used their EADs to start businesses that now employ US citizens. “Eliminating this benefit removes an important incentive for highly skilled immigrants to remain here to invest in and grow our economy to the benefit of all Americans,” the letter signed by, among others, Congresswoman Anna Eshoo and Congressman Raja Krishnamoorthi, said. “The H-4 rule is a matter of both economic competitiveness and maintaining family unity. The United States has already invested in these workers with years of expertise and we should not be sending them abroad to innovate and use their experience and talents against US businesses. We ask that you reconsider the revocation of the H-4 rule,” the lawmakers said in the letter dated March 5. As employers continue to navigate the outdated immigration system, the administration should “reconsider its likely rescission” of the H-4 visa rule, that granted work authorisation to a limited subset of spouses and was critical in helping employers recruit and retain a high-skilled workforce, as well as in keeping the United States competitive in the global innovation race, Government Affairs at the Information Technology Industry Council director Karolina Filipiak said. Good job by security forces!